On June 6th, 1944, a huge amphibious and airborne force landed on the coast of Northern France intent on reversing the tide of the Second World War. The meticulously planned operation included waves of beach assaults, naval bombardments, air strikes and parachute drops – all on a scale never seen before. 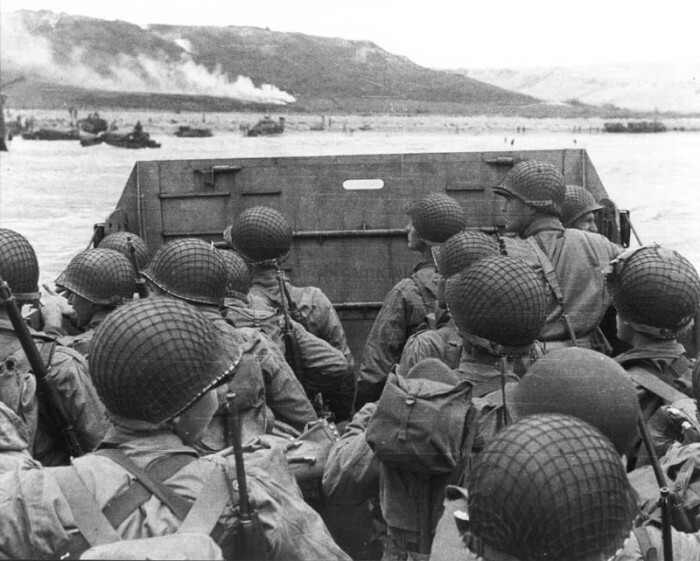 Code-named “D-Day,” the invasion saw the beginning of the end of the Nazi occupation of Europe. D-Day has been re-enacted in at least five major films. I am sure you will have seen at least one of them. Where Eagles Dare focuses on a group of commandos sent high into the Alps on a daring mission to rescue a captured American officer before he divulges D-Day plans. The Big Red One is a more factual account. The film title refers to the US Army 1st Infantry Division, who wore the insignia of a red ‘one’ as they landed on Omaha Beach on June 6th. Director, Samuel Fuller actually served with the Big Red One in real life, earning the Silver Star on D-Day. Perhaps the definitive film about D-Day, shot in black & white, was appropriately entitled, The Longest Day. The film encompasses the American, British, French as well as the German perspective, as D-Day unfolds. The ten-part Band of Brothers is a more recent visually stunning and accurate portrayal of the 101st Airborne Division’s role in WW2. These US paratroopers were one of the first Allied units to go into battle on D-Day, and the series captures their war with gritty realism. But probably the most iconic portrayal of D-Day takes centre-stage in the gripping war film, Saving Private Ryan. The film is considered one of the greatest as well as most controversial war films of all time. It’s half hour depiction of the bloody fighting on Omaha Beach is both vivid and terrifying. Apparently psychiatrists treating veterans with Post Traumatic Stress Disorder from the Vietnam and Iraq wars, advised them not to watch the film. If you have seen it you will understand why. It’s the kind of film you probably won’t want to watch twice. However terrifying, the reality of D Day June 6th, 1944 was, by comparison with our subject today, only a minor skirmish in a global war against evil that has raged since before the creation of the world. Mark Galli, in his book, Jesus, Mean and Wild, describes the synagogue service in Capernaum (found in Mark 1:21-28) as Jesus’ D-Day. It describes “his beach landing to recapture lost territory, a battle with the forces of evil that rain down terror on him…. the clearing of earth of demons”. While a helpful if provocative analogy, I think it was actually much more certain, much more compelling, and much more dramatic. In the synagogue in Capernaum, the people may have been both amazed and confused about who Jesus was, but the demons certainly weren’t under any illusion, and neither should we. Please turn with me to Mark 1:21-28. I want us to observe first, the authoritative preaching of Jesus (Mark 1:21-22); the awesome power of Jesus (Mark 1:23-26); and the amazing popularity of Jesus (Mark 1:27-28). Then I want us to consider what application we draw from this story. Absolutely no one fell asleep through Jesus’ sermon. He didn’t need any visual aids or PowerPoint presentation to keep their attention. Jesus taught them with authority unlike the teachers of the law. Why? Because at best they offered their interpretation of the Scriptures. And they quoted one another, as preachers do today. Jesus was different. The word “authority” is linked to the word “author”. Imagine you are in the final of Mastermind. You choose the unique architecture of Apple computer software as your specialism. And your name happens to be Steve… Steve Jobs. No one knows more about the subject than you. Or you choose as your specialism the physics behind the cyclonic vacuum cleaner, which can separate dust with the force of 100,000g. And your name happens to be Charles… Charles Dyson. Or you choose as your specialism the origin of the Harry Potter novels because your name is Joanne – Jo Rowling. Notice where this all happens. Inside the synagogue. Does that surprise you? Why would the devil want to go to church? For three reasons. What did Jesus want the people to do? Listen to his teaching, understand, repent, believe the good news about God’s kingly reign and be saved. What did Satan want people to do? Stop listening to Jesus. Remain ignorant, blind, enslaved, possessed. How could he achieve that? Create a diversion. So what does he do? He interrupts Jesus. He cries out in a loud voice. The devil wants to distract people from listening to Jesus. That is why Satan will encourage you to dwell on the music played out of key, the misspelling of songs on the PowerPoint, the length of the service, the temperature, the notices, the rather quaint people in front. Anything but the message of Jesus. The demon was so used to having free reign in the Synagogue. But this is D Day. And so the man cries out in terror because the demon cannot cope with the purity and the holiness of Jesus. Notice he cries, “What do you want with US…. Have you come to destroy US”. He could be referring to his host or fellow demons. 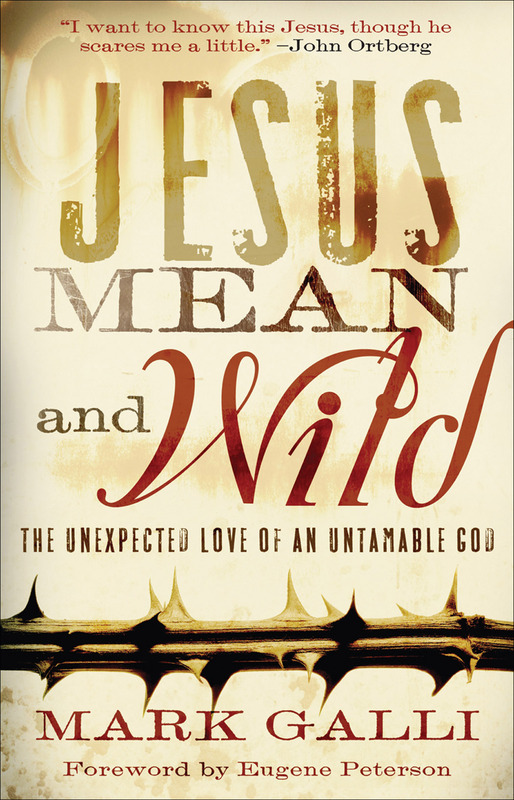 Either way, he was terrified because Jesus, the Holy One of God had showed up. Satan wants to distract people, divert people and devour people. But on this occasion, Satan was about to lose control of this particular man, and like D Day, it would mark the beginning of the end of his control of the world. Because in the face of the awesome power of Jesus, the demon is expelled with the simple words “Get out”. The authoritative preaching of Jesus. The Awesome Power of Jesus. You cannot stop good news spreading. People may be tired of religion but not of Jesus. Among those being saved, Jesus is good news. The traditional denominations may be shrinking but the church of Jesus Christ is growing. And where is the church growing most rapidly? Where the church is persecuted most strongly. Figure that and you will understand this passage and its application today. This skirmish with the demon in the synagogue at Capernaum foreshadowed Jesus supreme victory – when he defeated Satan and his demonic forces by dying on the cross, liberating all held captive to the power of Satan. If Easter was “VE” Day, when Satan was defeated, we look forward to “VJ” Day when the Lord Jesus Christ will return in great power with his angels, destroy Satan and all who identify with him, and deliver his saints into eternal glory. Because between these two events, the battle is not over yet. Despite the apparent peace and tranquility of this morning’s undistracted service, with its beautiful music, uplifting hymns, thoughtful intercessions, challenging message and fresh coffee to follow, we are still living and laboring and taking casualties in what is a war zone. Satan is defeated but he is not yet destroyed. That is why Jesus sends us out in his name and with his authority to liberate others from Satan’s control, by sharing the authoritative teaching of Jesus and through the Holy Spirit, demonstrating the awesome power of Jesus. You see, Jesus promises blessing not if, but when, we are insulted, when we are persecuted, and when we are falsely accused of all kinds of evil because we identify with Jesus (Matthew 5). If you would like to explore this theme in more detail email me for my presentation on Christian Jihad. But s you leave today, imagine today is D Day. And we are in one of those troop carriers heading through the water for the Normandy Beaches. In the words of the Apostle Paul to Timothy, I invite you to “Join with me in suffering, like a good soldier of Christ Jesus.” (2 Timothy 2:3) for then your suffering will not be in vain and his blessing will be assured. Amen. Lets pray. This entry was posted in Bible, Sermons, Theology on September 27, 2015 by Stephen Sizer.